Using a backhoe to dig for subsurface utilities is dangerous, time-consuming and unreliable. The optimal choice for digging underground to locate a buried utility is by using a high-powered vacuum excavating machine. Read the information below to learn about the benefits of using hydro excavation for potholing utilities. When using a backhoe for digging, workers can become injured if the machinery damages underground utilities. When using heavy machinery around populated areas, bystanders can also sustain injuries if they get too close to the work area. Hydro excavation is safe for employees who run the machines and for others who are nearby. If digging equipment cuts or damages underground utilities, they will require replacement or repair. This is labor-intensive, costly and it slows down job progression. When using a vacuum excavation method, utilities remain undamaged and the job can continue as scheduled. A hydro excavation machine penetrates all types of ground and soil conditions including red clay, frozen ground and rocky soil. Hydro excavation is often used to locate various utilities including gas pipes, water lines and fiber optic cables. 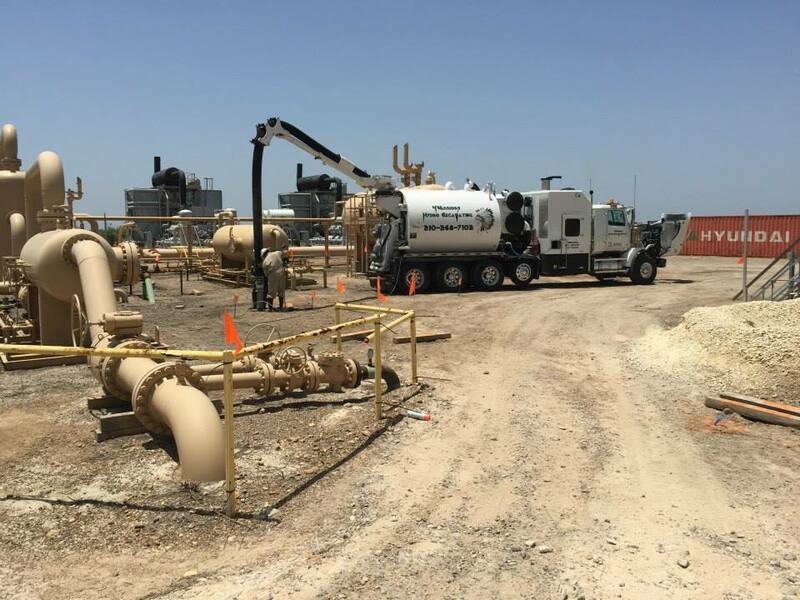 Hydro excavation is repeatedly used by various companies and industries including oil refineries, engineering services, barge operations and pipeline companies. When you need an experienced company for hydro excavation services including potholing and trenching, 4 Warriors Excavating can get the job done right and in a timely manner. Contact us with any questions or to request an estimate for our services.